The Tucson Homeskillet: "We Are In This Business To Make People Happy"
Campbell Avenue was a parking lot that day. For some reason, the few blocks around the U of A were jammed packed with automobiles sitting there, not moving, just watching the traffic lights turn from green, to yellow, to red and repeat. Checking our phone to see if there was a game going on; there wasn't. Switching the radio to see if there was an accident in that area; there wasn't. So what gives? Why is there gridlock traffic on a Wednesday afternoon? We're expected somewhere! The worst part though? We were hungry. 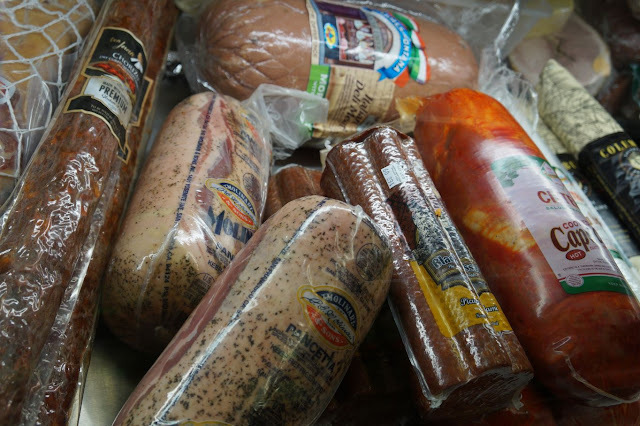 Knowing that we were going to hang out with the good people of Roma Imports, we wanted to bring our appetites with us. This is not a tough notion seeing as we are always bringing our appetites no matter where we go. But on this day? Forget it. Just some fruit in the morning only made us rather dizzy with our ravenous craving for their sandwiches, pasta dishes, pizzas and....oh man. Plus we were late. We told them that we would be there around 2 pm and it was well past that. And we hate to be late! Especially when food is involved. Eventually the cars ahead of us began to move and soon we were on our way, to that near hidden gem of an Italian market and deli, tucked away in an industrial section of Tucson knowing that homemade goodness and salvation wrapped in chewy bread and stuffed with cured cold cuts and sharp cheese awaited us. So when we saw their Italian flag waving proudly in the distance in the late afternoon breeze, we knew that everything would be alright. 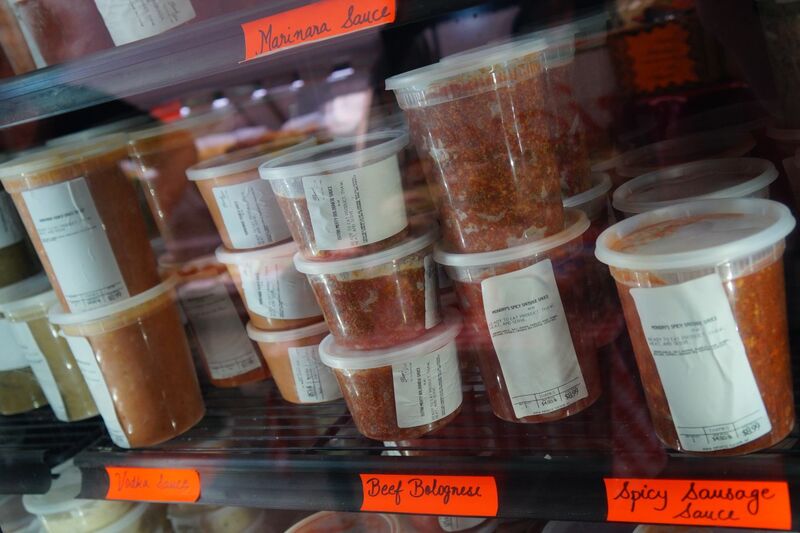 If you haven't been to Roma Imports, well, then...you need to get here. 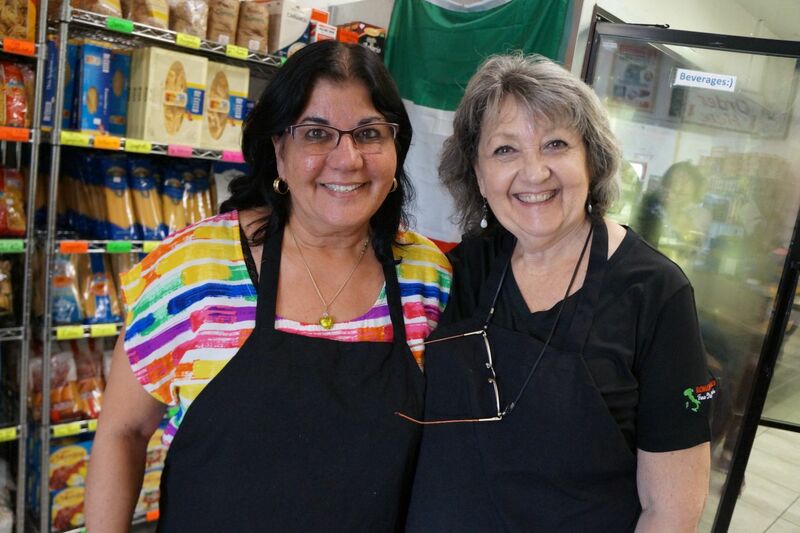 For fans of authentic Italian food, deli sandwiches and retail cooking needs, this is the place to come. Sure it had been a while since we stepped foot in the place but thanks to wanting to feature them in this article, we were so glad to be back. 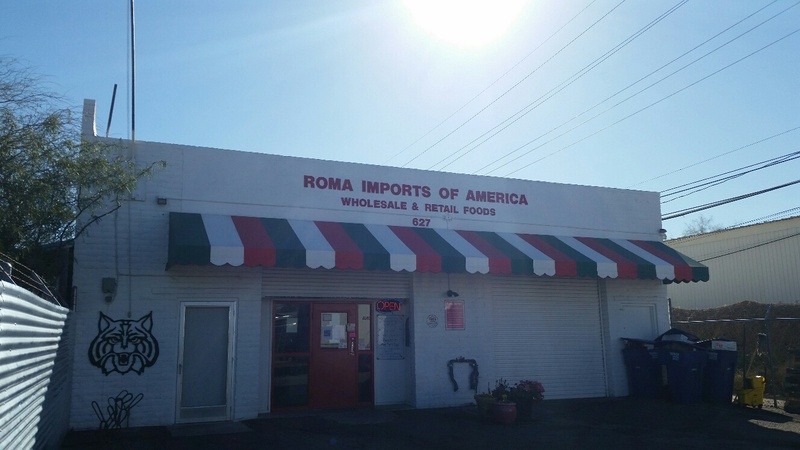 What makes Roma Imports so special is not only the quality of its food, the friendly staff and the hard to get to kitchen items, but it has to be the location. Nestled in the near desolate area between the South Kino and Aviation Parkway, the only real sign of its life is a tall spire displaying the Italian flag (as we mentioned before) and the collection of cars and trucks parked around it from dedicated customers and fans of Roma's delectable selection of house made pasta dishes, desserts, deli items, salads, fresh soups and, our personal favorite, the homemade sausages and sauces and, oh...all of it, so delicious. 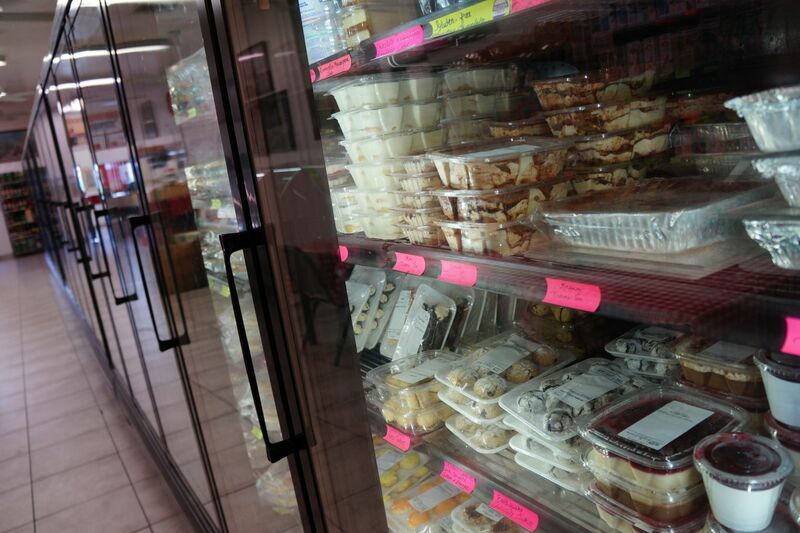 Another factor that distinguishes Roma from other specialty delis and markets is that they have a long stretch of prepared frozen items for you to take home and cook at your leisure. You might have a favorite pizza joint to go to but you seriously need to give the hand crafted pies here a go around. Straight hot from your own oven, you might just keep making the drive to the little white bungalow of goodness when you are craving a sumptuous pizza. 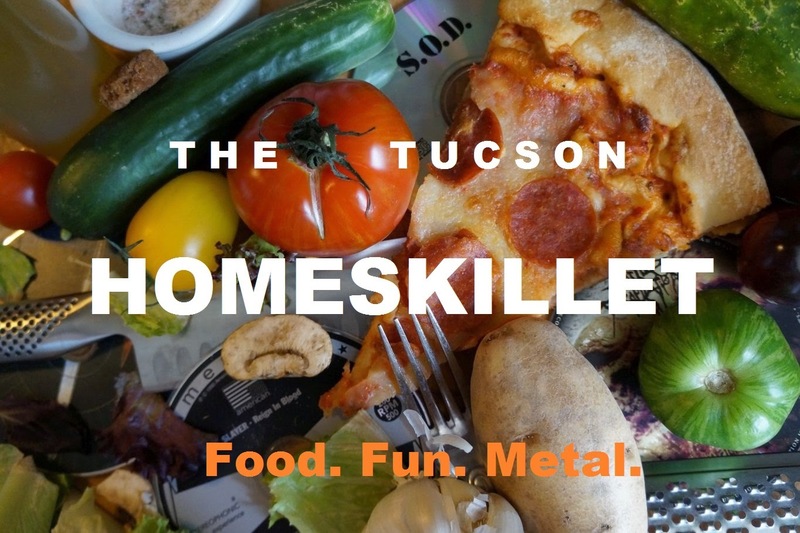 We at the Tucson Homeskillet, if you have been keeping up with us, are decidedly deli obsessed and to get to one with a definite Italian spin on things just drives us a little more crazed with a food fervor. You know we love us some Roma and promised ourselves and the good folks there that we wont be such strangers and plan on coming back on a regular basis. "You look familiar," said Koreen, who claims to not be the manager but rather the resident mirth maker. "Yeah," said Metal Mark, "but it's been a while. Sorry." "How about an Ultimate Roma sandwich?" "Make it a Matt's Special and we're on!" See, you're going to have to get here to see what we were talking about. After our well needed, and amazing, sandwich, we sat down with owner Lilian Spieth to get the lowdown on her variant background and how Roma Imports, as it is known today, got to its near food cult status. "So I was born in India and my family immigrated to Israel when I was 14," Lilian said in her small office by the front entrance as phones rang and employees clocked in and out. "I married my husband, who is German, and he was into mining so we moved a lot. We lived in England, Denmark and Scotland and then Washington state, then Colorado, then Germany then Arizona. "When we came to Arizona I needed something to do. So this business was up for sale and I kind of thought maybe I could do this. And I had never done anything like this. I was a stay at home mom, which I had done when we moved around." 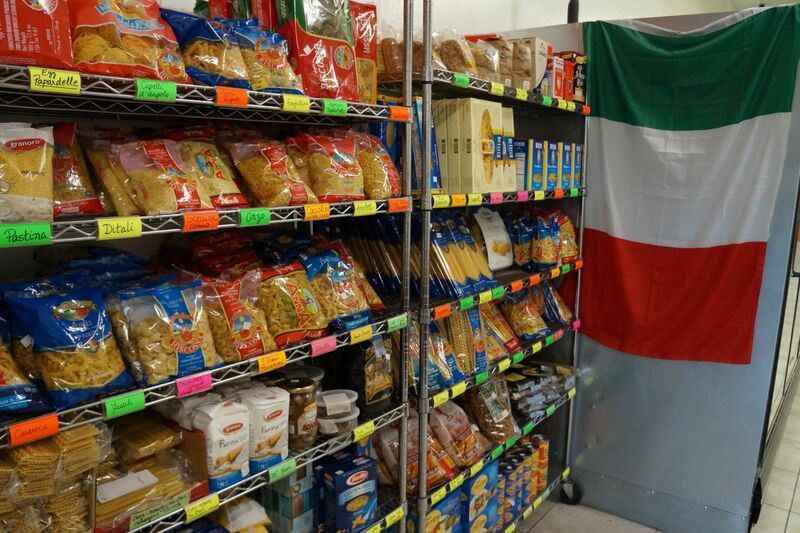 Imagine that: A woman born in India, growing up in Israel, marrying a German man who then bought an Italian food shop in Tucson, Arizona. On top of all of that, has never worked in the food industry. Oh yeah, this is some good stuff here. Article nearly writes itself. 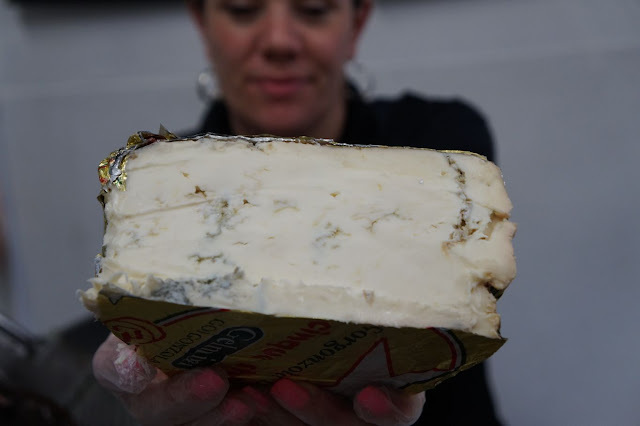 "It belonged to a Sicilian family," Lilian mentioned when she initially was interested in buying the original concept of Roma Imports, "but they did mainly wholesale, basically providing products to the Italian restaurants at the time. This was in the late '90's and there weren't so many providers; like some of the bigger corporate services didn't carry specialty Italian items such as they did. 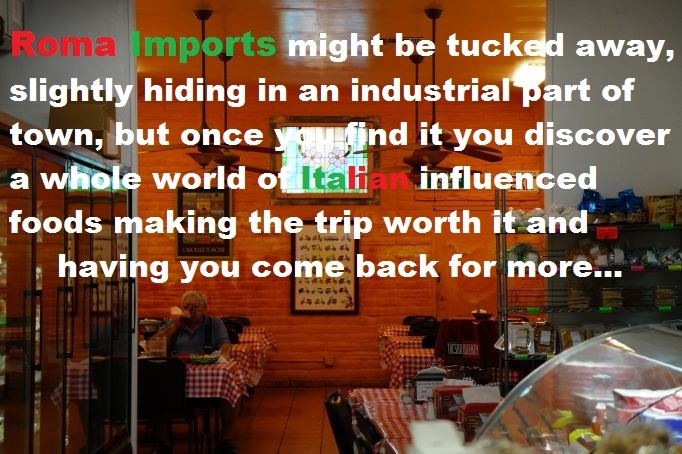 They sold a lot of grated cheese, pasta, tomatoes to restaurants and pizza places...but they wanted to get out. "The owner was getting old and when they sold the business to me I decided to see if retail would work. So I started cooking and the more I cooked, well, it just took off from there. People seemed to really like it." That is putting it mildly. Sure the shop is a bit hidden, but you should see this place at lunch. Lines out the door. Luckily we got here between the lunch and dinner rush so we were good, but, oh yeah, we've been here at prime lunch time and little Roma is packed. And if you've had their food, you know why. Intrigued by Lilian's very diverse upbringing and the fact that she has never worked in the service industry before she purchased Roma Imports, we just had to know how her amazing culinary rise to local acclaim came about. "At first when I started to cook here I tried to keep the integrity of the Italian influence, because that's what it was. I didn't want to rock the boat. So I made lasagnas and baked ziti, meatballs and fresh mozzarella, so I just started to expand the Italian items first. 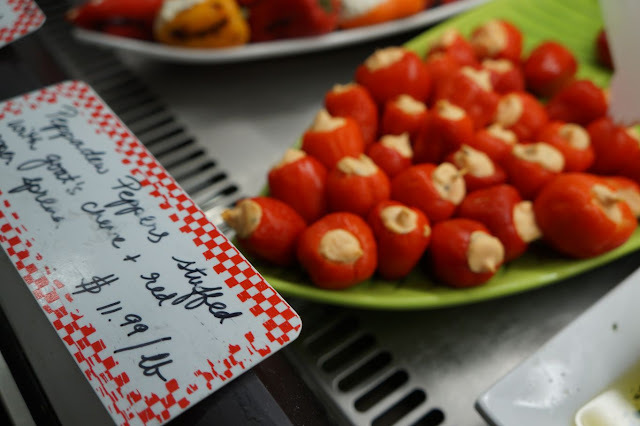 "Only later, when I got more comfortable with what I was doing, I wanted to see if I could challenge my customers with other things that I grew up with which is what you see on the shelves and in the counters today. Everything developed over time. 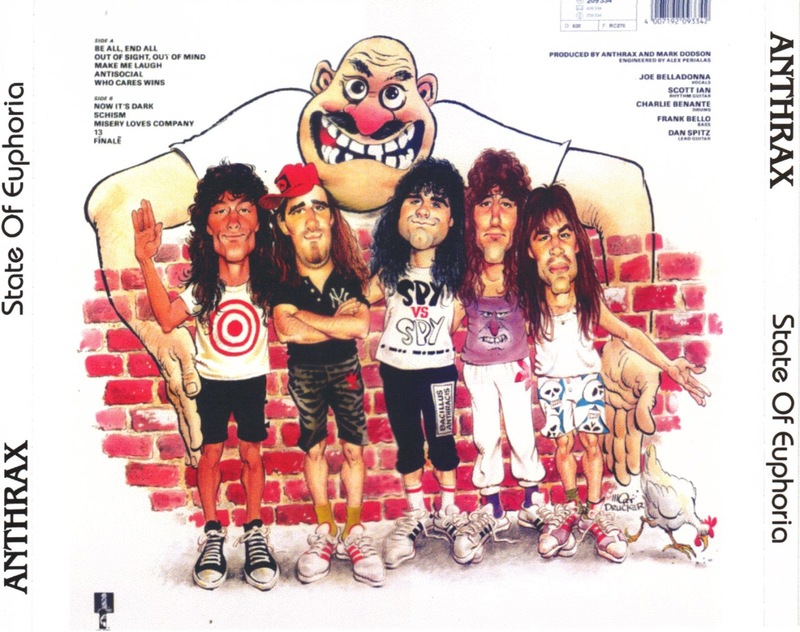 "You know when when I took over this business I never stepped foot in a commercial kitchen. I had never even owned a business before!" Which makes her, and her success, so awesome. Never owning a business before and not too keen on how things work in the food world, the neighborhood Roma sits on isn't exactly a bustling thoroughfare of families and casual passersby. Quite the opposite. We've been here before and we still had a bit of an issue getting there...again. But once you make it a regular routine (which we totally plan on doing) then the idea of 'turn left here, then another left' becomes common, it actually doesn't seem much like a chore at all. In fact, it becomes a bit of a treasure hunt, which we can totally food geek out on. "I guess I was too naive at first to think that the location was a problem," Lilian laughs when asked about her secluded locale. "So I honestly was not aware of the challenge of the issue. I just did my own thing. But it doesn't seem to be a problem now." When you got customers busting down your door for your food, yeah...no problem at all. "Listening to customers was the way I expanded our business. If five people asked me for something I brought it in. It was very easy to expand," notes Lilian on the difference from the tiny space of the original concept to what we know Roma Imports today. "The store was really tiny when I first bought it. Most of the space you see today was originally used for storage for the wholesale. In fact we expanded three times, slowly moving the wall back a little bit and back a little further. Until we finally pushed it to the end. "It was about five years that we were open when we started the sandwich station. At first I said that if I sold fifteen sandwiches a day I would be happy. And it just kind of took off." "I would have to say staff is the biggest challenge of running a business such as this. Its making sure you are taking care of them and making sure they stay. I am very lucky to have people that have been with me for many years but like other food related businesses, you have rotation. I try to keep the good ones because, you know, they become family." "And that is also the biggest reward as well. You come here in the morning and it's like....home." "The lasagna is one of our biggest selling items but I would have to say our porchetta sandwich is one of the most popular items," is what she had to say if there was a signature item at Roma's. "It's a slow roasted pork and it is very delicious. Pork may not be for everybody but for those that do love it, love this sandwich." As far as future plans for her business, Lilian was pretty firm on one thing. "Honestly," she said nodding, "stability is my goal for this place. Over the years I have been asked countless times to open a second location and I have not felt comfortable with that idea. Basically my goal is to run Roma with the same...soul, if that makes sense?" "It has to make us happy and for my customers and me to be happy...and that is enough." 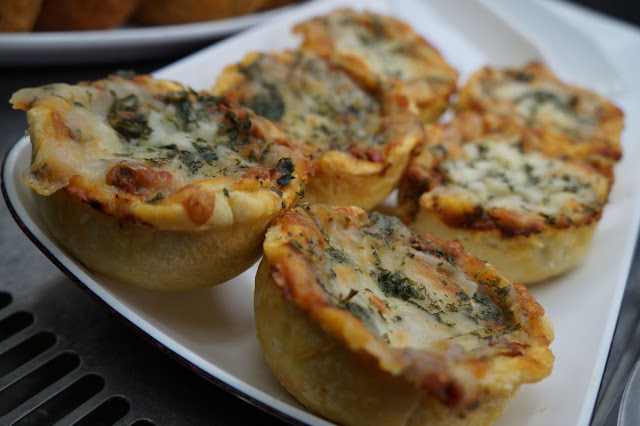 Mini pizzas, mini pizzas...get in our bellies! For those of us that know and love this place, think of this blog post as an ode to one of our favorite markets and delis in Tucson. The food, as well as the staff, are always fantastic. 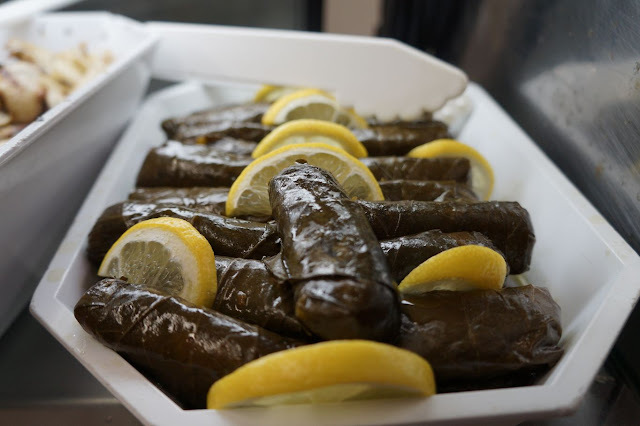 But for those that have yet to venture out to the yonder where Roma Imports reigns supreme, let this be a prompt for your upcoming culinary adventure. Take it from us, you just need to try one of each. Of what you may ask? To find out what their daily specials are, their amazing "feasts", upcoming events and all of the fun and fare happening there, you can (and must!) follow them on Facebook. 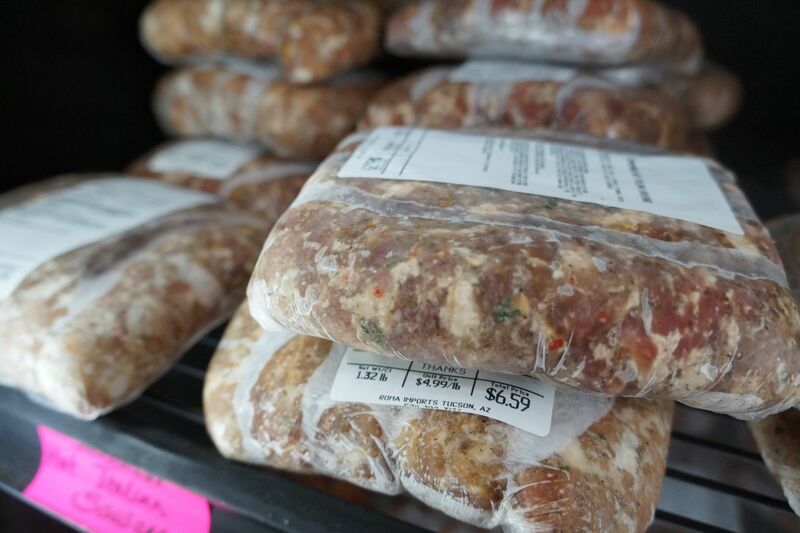 Now it is time to stop typing and to figure out what to do with all of this sausage, sauce and noodles. Like we said...one of each. It's a tough job, but...somebody has to do it.